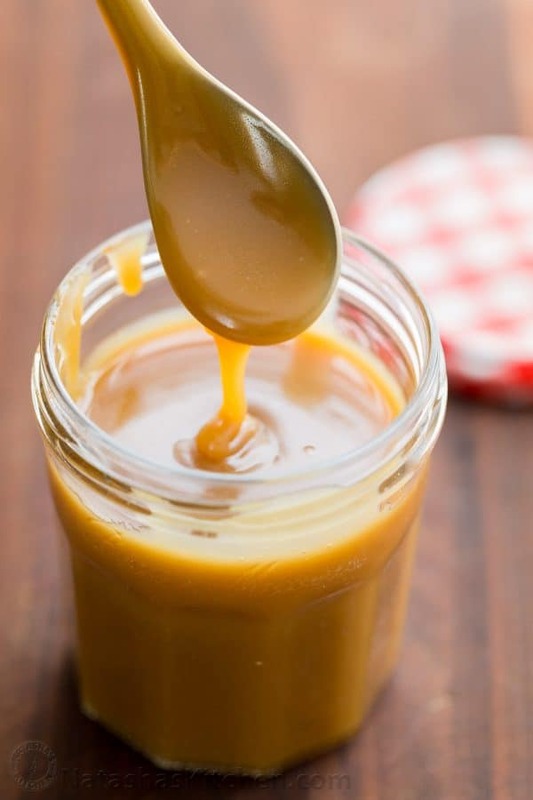 This caramel sauce recipe is so simple, you’ll never want store-bought again! There are only 5 all-natural ingredients that all go into the pot at once and then you whisk until it’s thickened to your liking. How easy is that?! 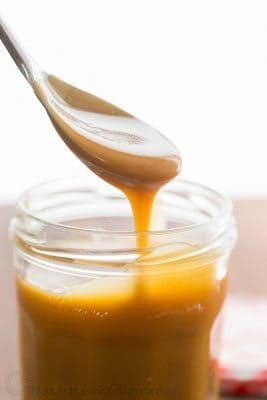 You’ll learn how to make caramel sauce in no time! I’ve been disappointed many times looking for caramel that didn’t have high fructose corn syrup, or artificial colors and flavors, or other ingredients I couldn’t pronounce. It’s crazy! 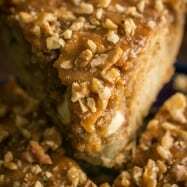 This caramel recipe is not just easy, but it tastes amazing. Nothing beats homemade caramel sauce! *If using salted butter, cut the salt to 1/2 tsp or add it to taste. 1. Combine all ingredients in a saucepan and simmer over low heat, whisking constantly or until thickened and no longer watery (6-9 minutes). Keep in mind it thickens more as it cools. Serve warm, at room temperature or chilled with refrigeration. Refrigerate in an airtight container up to 2 weeks. You can warm it slightly to make it more drizzle-able. P.S. That’s homemade vanilla extract you see up there. 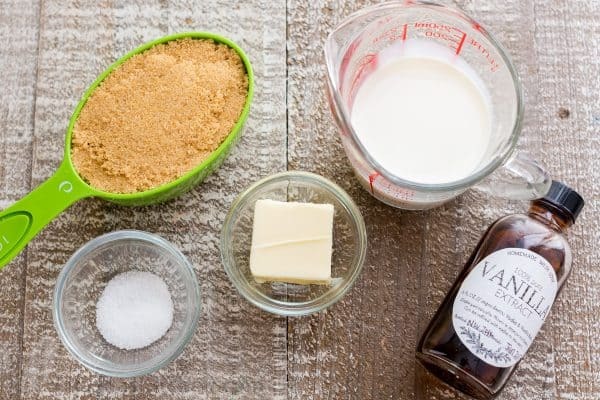 You only need to ingredients for it – so easy! It also makes for a great homemade gift! P.S. Be careful with the sampling – It’s easy to get carried away! 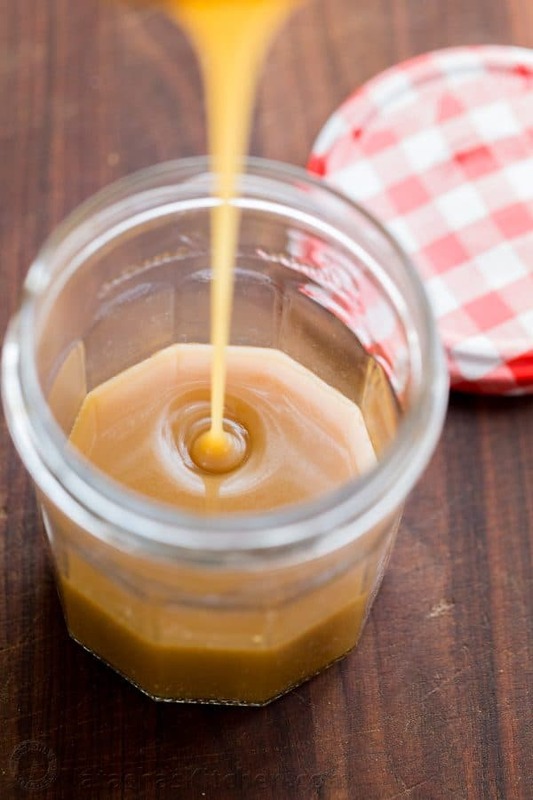 Homemade caramel sauce is so simple, you'll never want store-bought again! 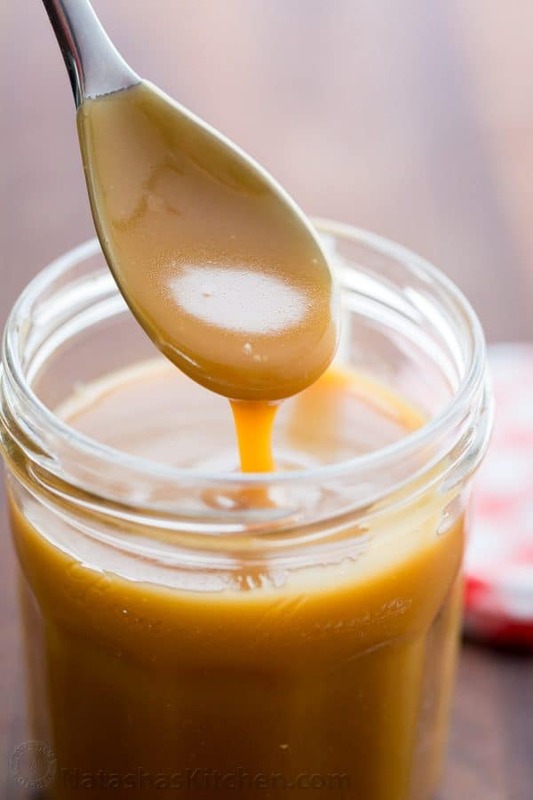 Easy 1-step, 5-ingredient salted caramel sauce recipe. Combine all ingredients in a small/medium saucepan and simmer over low heat, whisking constantly or until thickened and no longer watery (6-9 min). Keep in mind it thickens more as it cools. Serve warm, at room temperature or chilled. Refrigerate in an airtight container up to 2 weeks. You can re-warm it slightly to make it more drizzle-able. 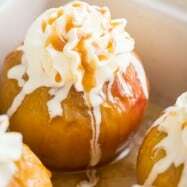 *If using salted butter, reduce salt to 1/2 tsp or add it to taste. 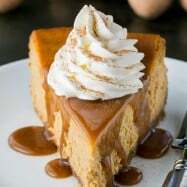 We love this homemade caramel sauce over our pumpkin cheesecake, vanilla ice cream, over baked apples, and the mini cheesecakes I will post later this week, and everything we can possibly put caramel over ;). Whilst this did come out tasting rather lovely with a nice consistency. 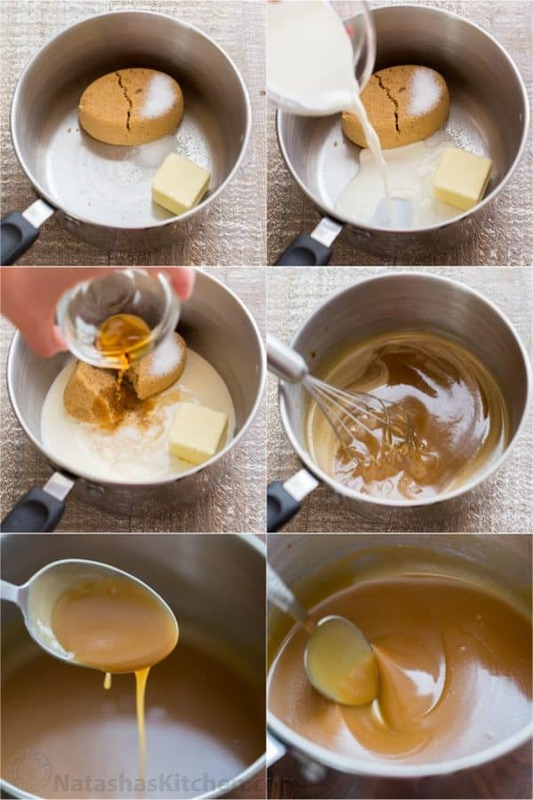 Following the recipe precisely resulted in a butterscotch sauce more than a Caramel sauce- likely due to the use of brown sugar and butter. For a more caramely tasting sauce, I’d suggest substituting the brown sugar for white granulated or at least half light brown and half white. What does 1/2 cup half and half mean? 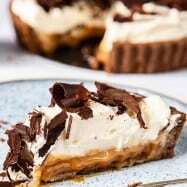 I just tried making this recipe and while it has a good flavour I have some questions about the process. In the cooking stage should it bubble, if so how much? Or keep the heat low enough for no bubbles at all? Do you start timing once everything is melted? What fat % is half and half? I used 10% cream and cooked it 12 min adjusting the heat for no bubbles. Then as it was still really thin I let it bubble on low heat for another 2 min. It’s a bit grainy. You’re Welcome!! Thank you for that wonderful review Dia! Keto blt salad and dressing. 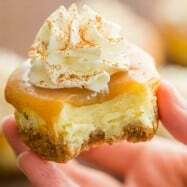 I made this recipe yesterday and the results is Fantastic! I put it on top of my chocoflan and all my friends said they love it! 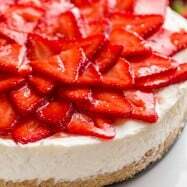 Thanks a lot for sharing your recipe. Yes I did. What if the brown sugar was in the container, does it work? Hi Lana, I’m not sure what you mean by the container. Will this set up enough for homemade turtles?